London Cru has teamed up with recently-relaunched Seafood School at Billingsgate to bring you an evening of seafood discovery and wine pairing. Top chefs from the capital's biggest fish market have put together a delicious menu which have been paired to our award-winning wines. You'll be welcomed byhomemade taramasalata and smoked mackerel paté, washed down with a glass of English-grown Bacchus (Baker St) while you see the chefs compile the component parts of the menu. You'll learn new skills and techniques as the chefs walk you through each stage of the dish. Each dish will then be served with a perfectly-paired London Cru wine, with a guided tasting session telling you all about the grower, the grape and why it's a great match for the food. You'll go away wine-smart with bellies full and new skills and recipes to try at home. Couldn't think of a better Friday night. London Cru triumphed in this year's International Wine Challenge by winning four prestigious medals for wines across the range, including three silvers and one bronze. Silver medals were awarded to our brand new 2016 Bacchus, 'Baker St', our 2015 Chardonnay, 'Charlotte St' and our 2014 Syrah. Our 2014 Cabernet Sauvignon was awarded a bronze medal. We are especially proud of Baker St, which has been ranked as one of the highest-scoring wines made from Bacchus in the country. It makes us especially pleased this wine is made from English grapes. ''It's a fantastic result. All the hard work over the harvest has resulted in some superb wines and I'm really pleased they've been recognised as some of the best in the country. It's an exciting time to be a winemaker in the UK; every year brings new challenges and opportunities to experiment with new techniques to find out what works best with Bacchus. The International Wine Challenge is seen as one of the world's finest wine competitions, judging all wines blind. Each medal-winning wine is tasted on three separate occasions by at least 10 judges. "Passion fruit and lime aromas. Flavours of Granny Smith apples and citrus with refreshing acidity and a zesty finish." "Lovely bright stone fruit with cinnamon. Vibrant palate, ripe, peachy and refreshing with a touch of oak." "Deep plum colour, fresh berries with some developed tarry notes. Concentrated pomegranate on the palate and attractive leafy finish." "Brightly fruited with rose petals and blueberry and firm tannic framework." As part of Bookatable's 'Feast on London' culinary extravaganza, on Tuesday 28th March we are teaming up with Provencal eatery Cigalon for a wine dinner like no other. Chef Julien Carlon has devised a bespoke four course menu featuring authentic Provencal cooking with an English twist. London Cru winemaker Gavin Monery has worked hard with Julien to devise a perfect wine flight for the menu, and each course will be paired with a delicious London Cru wine. Gavin will be on hand to introduce each pairing, and talk about what it's like to be head winemaker at the only winery in London. "Bored of the same old? Host an engagement party with a twist at this fantastic London winery. Yes, a winery in London. The place to toast your future and taste your way to a successful blend." London Cru has been featured in Venue Scanner's 'Top 10 Engagement Party Venues in London' list for 2017. There's no where else in London where you can sip wine among the tanks and barrels where it was made. With capacity for 60, we also have full AV sound system and space for music entertainment. Our experts will help with all of the planning and preparation, allowing you to focus on creating a truly memorable event. A few weeks ago Master of Wine Richard Hemming came along to the winery to taste our 2015 vintage. Richard is a writer for Jancis Robinson and has been a follower of London Cru since the very start, so we were excited to see what he thought of our latest releases. Heralding our 2015 Sydney St as "incredibly serious stuff - accomplished, generous, delicious", the 2015 Gresham St as "smooth and tender" and our 2015 Charlotte St as "rounded, fleshy, generous, perfumed and spiced" it's safe to say he enjoyed them. Richard's reviews confirm his initial reaction to this year's wines as London Cru's breakthrough year. He also found time to re-taste our 2014 wines, commenting that our 2014 Cabernet Sauvignon is "maturing well" and "a great achievement". His full tasting notes will be on JancisRobinson.com (subscription website) shortly. 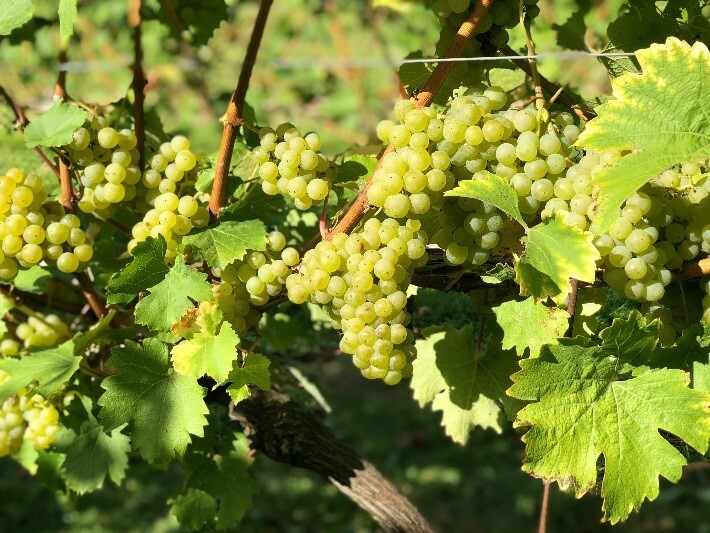 As the 1980s drew to a close big, oaky Chardonnay gave way to lean, grassy Sauvignon Blanc and more recently the popularity of Prosecco prompted the biggest revolution in sparkling wine we’ve ever seen. Many grapes and styles of wine flit in and out of fashion from year to year but Cabernet Sauvignon is one grape that shows no sign of falling out of favour. This accidental 17th century lovechild of Sauvignon Blanc and Cabernet Franc produces durable, deep purple grapes that make superb age-worthy wine. It is responsible for producing some of the world’s greatest (and most expensive!) wines. But what’s all the fuss about? Old World wines are from the European regions where winemaking originated thousands of years ago. Although Cabernet grapes are now grown all over Europe the most famous are from vines grown on the banks of the River Gironde in Bordeaux, south west France. Cabernet Sauvignon grown in the Old World is generally blended with another varietal; in Bordeaux its famous bedfellow is Merlot, but Italians have developed a wonderful blend using Sangiovese and winemakers all over Eastern Europe combine it with local varietals. Traditional Old World Cabernet has a concentrated core of blackcurrant fruit alongside layers of toasted oak. Cabernet Sauvignon’s success in Europe prompted wider plantings all over the newer winemaking regions. Its vines can now be found in Australasia, South Africa, the US, South America and even China. In the New World, Cabernet Sauvignon wines are more likely to be single varietal highlighting the grape’s own flavours. In these sunnier climes Cabernet is able to ripen fully, allowing its softer, fruitier side to emerge. Standout regions include Coonawarra in Australia for intense cassis flavoured wines and Napa Valley in California for dark cherry, structured examples. Wine is a living, breathing product that is constantly changing. However, not all wines get better with age. If a wine is to improve as time goes on it needs high acidity and powerful tannins – both of which are hallmarks of a well made Cabernet Sauvignon. With time, Cabernet Sauvignon begins to take on deep, spicy plum flavours and succulent tannins, making it a fantastic wine for ageing if kept in the right conditions. We are starting to see London Cru’s 2013 Cabernet Sauvignon soften and develop - it acts as a great comparison to the younger 2014 Cabernet as they both hail from the same vineyard in Languedoc, France. When critic Victoria Moore re-tasted our 2013 Cabernet earlier this year she said that it had "improved immeasurably", saying "it has become more elegant with a bit of time in the bottle and has beautiful cassis and cedar notes, and smells of pencil shavings." Cabernet Sauvignon is a food wine through and through. From deep, rich stews to punchy, tangy aged cheese, the big, bold flavours in Cabernet can stand up to hearty meals. The best food and wine pairings improve the flavours in both the food and the wine. As a harder and sharper cheese, cheddar can handle the tannins in Cabernet Sauvignon and the fruitiness of the wine perfectly complements the cheese’s flavour. Stews and pie fillings with melt in the mouth cuts of fatty beef work well too – the high tannins act as a palette cleanser and the bold flavours in both the wine and the food stand up to each other. Personally, we love drinking the London Cru Cabernet with a big juicy burger with plenty of oozing cheese and salty bacon. Delicious! It's an emotional time when you finally finish bottling a vintage. A whole year of hard work, into bottle and shipped off. Being one of the less romantic wine-making processes it's often overlooked; there are days on end of clinking glass, feeding bottles onto the line and watching them rotate under the filler bowl. The hypnotic rhythm of the corking machine and the constant battle to ensure labels are perfectly applied. There are lots of moving parts and plenty to go wrong, but as the culmination of a year’s work it's also incredibly satisfying. - knowing that every bottle that rolls off the line contains a conversation or two, some laughter, perhaps dinner party or even a birthday. It's a time capsule of a single vineyard in a specific year, and every bottle tells a story. For the winemaker of course it's the end of the grapes' journey, but really it's just the beginning. Our bottles are bottled onsite via a mobile bottling plant. It's an advanced (and expensive) machine that offers advantages that smaller bottling lines just can't compete with. The bottles start their journey by being sterilised then rinsed, before a vacuum is applied and the air removed. Nitrogen is introduced to create an inert atmosphere inside the bottle before it starts on the carousel, triggering a valve that lets the wine flow in under gravity alone. Once filled they move along to the corking machine, which creates a small vacuum before inserting the cork. After this it's through to the labelling line before being boxed up, stacked onto pallets and stored in a temperature controlled warehouse - until it's time to pull the cork of course. Recently, a prominent wine writer and Master of Wine proclaimed that our 2015 Chardonnay, Charlotte St, is better than most Chardonnay made in Burgundy. What an accolade! Richard Hemming MW has long been a friend of London Cru and has tasted each vintage since the inaugural release in 2013. This year, he popped round especially to taste the first releases from 2015…and has declared this year's vintage as a ‘breakthrough’. "It's wonderful to hear that someone loves our wines, all the more so when they taste as widely as Richard does. When I first saw this vineyard I knew we could make something special, so to hear the wine described as 'a must try for lovers of sophisticated Chardonnay' is just fantastic. We'll continue working closely with our growers across Europe so we can keep making world class wine right here in London." Hemming also praised London Cru's new Albariño, Albemarle St.
Charlotte St is made in London with grapes from prime south facing vineyards on limestone soil in Limoux, south of France. The wine, which is made with minimum intervention, spent an additional eight months maturing in 100% oak barrels before being bottled in May this year. Charlotte St 2015 will be available from November. The 2014 Chardonnay is also drinking fantastically now and is available to buy for immediate delivery. Chardonnay seems to be a bit like Marmite: you either love it or you hate it. However, despite this varied reputation it’s coming back into fashion with premium winemakers all over the world making top quality, luxurious wines. And what’s not to like? It’s versatile and resistant, allowing terroir to shine through and winemakers to make their mark. London Cru winemaker Gavin is no newbie to Chardonnay, having made it in his native Margaret River and in Burgundy. Our 2014 Chardonnay is ripe with peachy notes and a subtle toastiness. Lees contact (which is the proximity of the wine with the dead yeast cells that collect at the bottom of the barrel post-fermentation) adds weight and complexity. Gavin believes acidity to be the backbone of any wine and the 2014 has plenty of it, which balances nicely with the gentle oak flavours. The critics have agreed, with both Jamie Goode and Richard Hemming rating it highly. The 2015 Chardonnay is all downstairs in the winery, as yet unlabelled. From the sneak preview tastings we’ve had so far, it’s set to be a fantastic wine, so look out for its release in the coming months. This year, we’ve sourced grapes from Limoux – an area with a growing reputation for quality Chardonnay in South West France. If that has got you in the mood, pour yourself a glass to enjoy now and visit the London Cru website to order our 2014 Chardonnay. So head down to this funky, warehouse venue from the 24 - 28 May and taste wines the critics are raving about. During this week, for one night only, talented London Cru winemaker Gavin Monery will be hosting a free tasting of London Cru's 2013 and 2014 vintages at The Hide. It's a unique opportunity to learn more about one of Europe's most innovative wineries and get an exclusive introduction to the different wines made in the heart of London, by the winemaker himself.